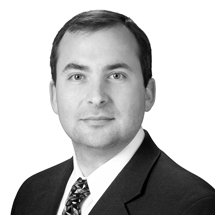 Andrew serves as the firm’s Chief Investment Officer and head of our investment committee. He is responsible for setting the overall investment direction for all aspects of the firm. He joined Smith Salley in March of 2006 with ten years of experience in fixed income, equity research and portfolio management. Prior to joining SS&A, Andrew managed personal and institutional portfolios for SunTrust Banks in Charlotte, NC. During his nine years with the bank Andrew was a member of the fixed income strategy committee and the value equity stock selection committee. He co-managed a taxable fixed income mutual fund and an actively managed Value Equity Strategy. Andrew received his undergraduate degree in economics from the University of North Carolina at Chapel Hill, with a minor in marketing from the School of Journalism and Mass Communications. Andrew, a CFA Charter holder, is a member of the CFA North Carolina Society. Andrew enjoys golf, running and hiking with family in his leisure time. He is an former member of the Irving Park Elementary PTA where his children attended school. Andrew also supports the Future Fund, which is an initiative of the Community Foundation of Greater Greensboro, and the Coastal Conservation Association. To contact Andrew you can email him at andrew@smith-salley.com.